This Website is a Voice Over reseller Turnkey website that doesn’t require any experience or maintenance on the owner’s behalf. 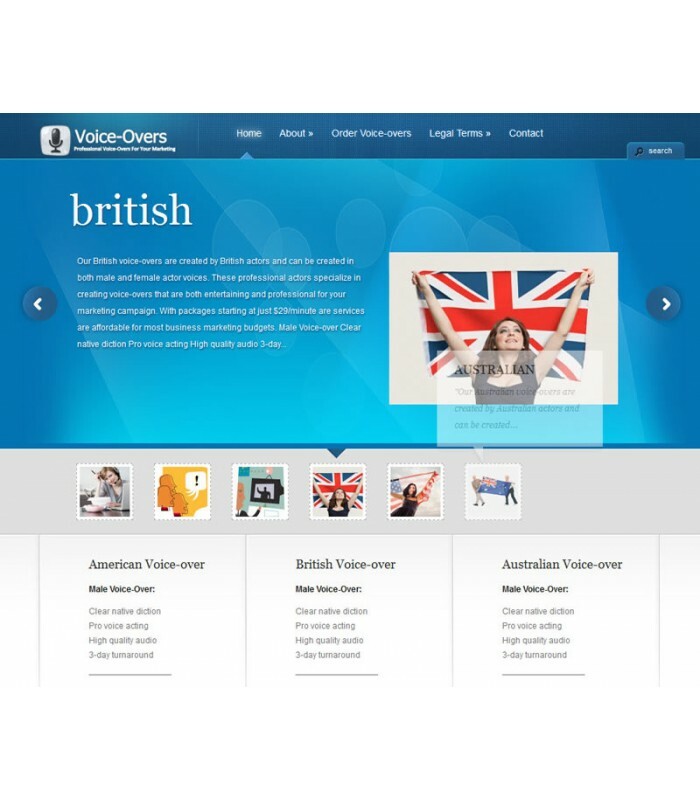 All VoiceOvers are outsourced to professional, native speaking Voiceover actors. Voice Over services are used for commercial and business marketing purposes, usually as an overlay on a marketing video. These services are provided by native speakers from UK, USA and Australia, who read from a script amd record an audio track usable in videos, radio commercials and website background sounds. These services are in high demand as the internet and radio are demanding more quality voice overs created by professional actors.